How was our strongest link to the original biblical manuscripts — the Dead Sea Scrolls — preserved in the past and today? Dr. Fleming: Who the original preservers were is the big question. That is the big quest. The word "essenes" is not found in the Dead Sea Scrolls. The word "essenes" is "hasidim" where we get the word "hasidic" from. It simply means "the pious ones." You should not be surprised that they were not going to call themselves "the pious ones." We all know what pious people call themselves, so it is a title used by others. They simply call themselves "the Yahad," which means "the community." Scholars are usually cautious and so say they are "the Dead Sea community." When Josephus described the varies kinds of groups in his day, he called them sects. The four sects he described included the Pharisees and Sadducees. He listed the Essenes and gave four pages about what the Essenes believe. It is very close to "The Manual of Discipline," the rules for their order. 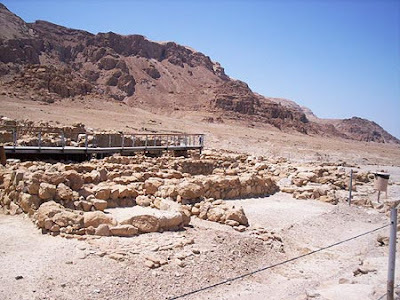 Dr. Reagan: Is it your personal opinion that the Qumran community (below) did produce these scrolls, because some believe that they were taken from the Temple in Jerusalem and hidden there? Dr. Fleming: Yes. There is one cave, Cave 3, that only had scrolls that related to the Temple. So, that cave may be of a different origin, but they hold the same Carbon 14, and so are the same kind of scrolls in the same kind of jars. Dr. Reagan: Now, what about the scrolls, what do they say about the authenticity of what we have today as the Bible? Dr. Fleming: The Masoretes did a good job determining which were the more authentic ones. There are small errors, small conflicts, like the spelling of a word such as "this." In one of the Psalms we have each verse starting with a different letter which is an acrostic kind of thing. The "n" is missing. The Qumran had the "n" left out, so things like that, but not one case where there was any theological difference. 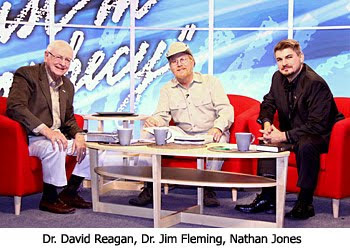 Dr. Reagan: It is amazing testimony to the preservation of God's Word! Dr. Fleming: Yes, and also why the Bible should not be punished simply because it survived as an ancient source. It also helps us know that the Greek translation from the Third Century BC called the Septuagint was very good on the first five books of Moses, and very similar to the Dead Sea Scrolls on it, too. What is interesting is that some of the books were in Greek, some in Hebrew, and some in Aramaic. What really helps a modern scholar is if you have three translations of the same verse to make an English translation. What words did they use? It can give you some nuance to choose an English word you see today. So, nowadays it is very important for the serious Christian student to have a translation that will have some footnotes and that will let you know why the translation team also considered some of the insights that come from the Dead Sea Scrolls. Dr. Reagan: For many years scholars sat on the scrolls, and they were very covetous of them. They wouldn't let anybody see them. I know that Biblical Archaeology Review was very involved in trying to break that open. Dr. Fleming: Yes. I would love to give you a good answer. Actually, I am proud to be on their advisory board. The problem was this: the original division of these scrolls were not given to as many scholars as they should have been. Instead of being given to fifty, they should have been given to a couple hundred. Some scholars had many scrolls and they became jealous, as though they were their property. It's the world's property! They should have given them to their promising graduate students, but then their name gets with the translation and not someone else's. Dr. Reagan: All those things have been photographed right? Dr. Reagan: So they finally got the photographs released? Dr. Fleming: It was decided that we should open up the archive, and even though the scholars hadn't published some of them, the photographs were made available to other scholars. Dr. Reagan: How much is there that has not been translated yet? Dr. Fleming: Nothing. All has been translated. Nathan Jones: Does that mean then that the Bible I have today is inerrant, in other words, there are no errors. We can go back 2,000 years and trust that our Bible's today are accurate? Dr. Fleming: Yes. Again, there are minor things like spelling and stuff like that would be different, but nothing of theological importance. Nathan Jones: You can trust the Bible? 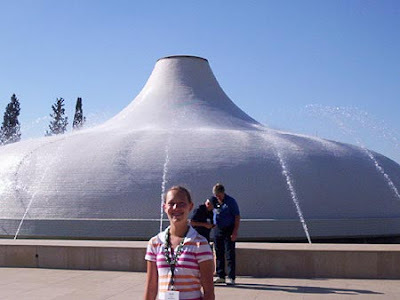 Dr. Reagan: Can just an average individual go and see the Dead Sea Scrolls today? Is there someplace where one can see them? Dr. Fleming: Yes, the Shrine of the Book (below), part of the Israel Museum, preserves most of them. That is in Jerusalem, though some of the scrolls ended up in Amman, Jordan. Dr. Reagan: Are there some at the Rockefeller Museum in Jerusalem? Dr. Fleming: The fragments that have not been pieced together are there. Now it is down to about 27,000 fragments I think, though I'm not sure exactly. Nathan Jones: The Dead Sea Scrolls went on tour recently, right? Dr. Fleming: There is enough, but you don't want all of them on display at one time because you want to actually keep them in darkness. They rotate how many are brought up to the light and even then have them in dimmed light. But, yes, they have been on traveling expeditions, which is great. I love this series; it is absolutely awesome. Gonna add www.digginforit.com to my blog links also. Thanks for doing this series!